Deals for Single Parent family holidays in Balearic and Canary Islands. Get here the best Rate for Single parent families Hotels! In the majority of hotels the discounts for the children are applied only when they stay with 2 adults in the room, so in case staying one adult and a child, it does not benefit from any discount. Some hotels do offer a discount for single parent families, so in case the child is staying with only one adult, also has his respective discount. in the search engine located at the top of the page. Online4youhotels, at the top of the page. This hotel located on the northern outskirts of the Andalusian town of Mojácar, just 50 m from the beach. The centre of Mojacar, with its numerous bars, restaurants, clubs and shopping venues, is less than 3 km away. Public transport is to be found approximately 50 m from the hotel. 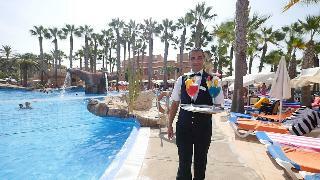 This luxurious hotel is located directly in the tourist centre, in the Playa Serena area of the resort. It is separated from the wide sandy beach by just a promenade. The surrounding area is littered with scores of restaurants, lively bars, shops and boutiques. There is also a connection to the public transport network in the immediate vicinity as well as a golf course. Situated at the north of the island of Majorca is located just 100 metres from the beach of Alcudia in Puerto de Alcudia and near to the lake Esperanza which is ideal for water sports like canoeing and kayaking. 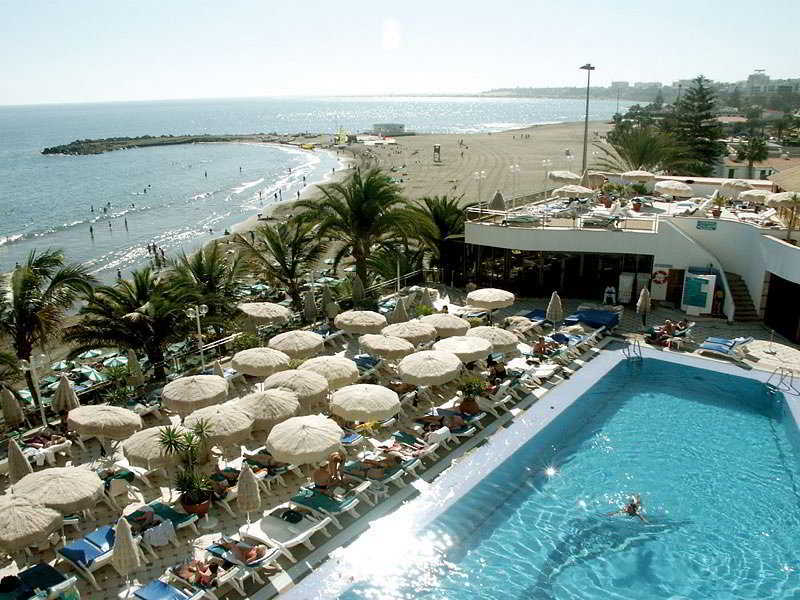 The attractive beach hotel is located in Magalluf's shopping and entertainment district. is an excellent golf course 2.5 km away and public transport leaves from right by the hotel. 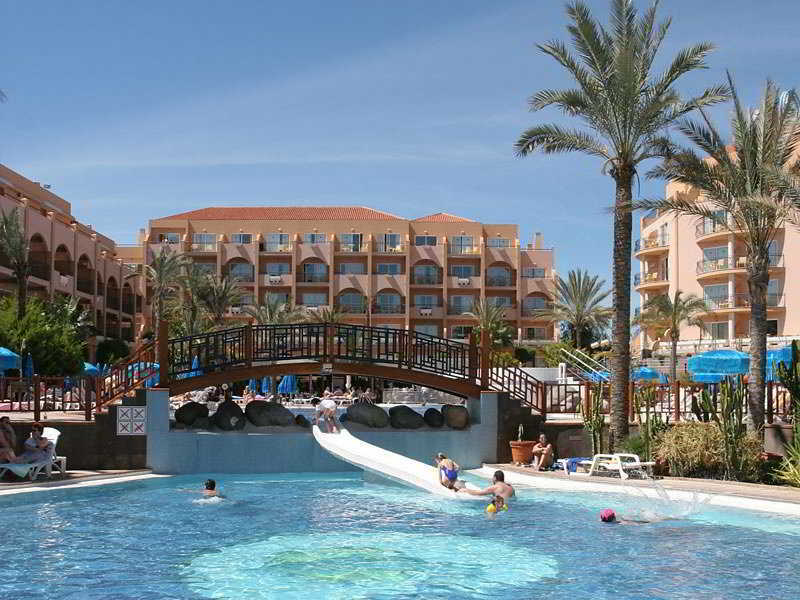 This comfortable beach hotel enjoys a peaceful location near to Cala de Mallorca. and 76 km to the airport. with all the appropriate services and facilities for enjoying a quiet and tranquil environment. the complex as well as nightclubs, bars and restaurants. The public transport network is easily reached on foot. This hotel is located on a bank, overlooking Masapalomas. Countless shops and restaurants are located in the immediate vicinity. A free shuttle service runs guests to the beach, situated 4 km away. There is a bus stop located directly in front of the hotel. 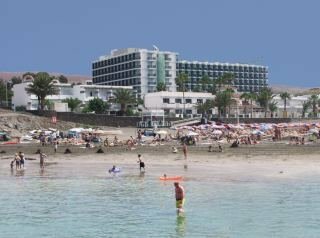 This popular, hotel is located at the heart of the tourist centre, directly beside the sandy beach of Playa de las Burras (about 2 km from the large Playa del Inglés). There is a shopping centre with shops, restaurants, cafés and bars located across the road from the hotel. 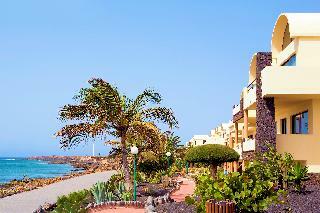 Public transport services are to be found 100 m away; Gran Canaria airport is approximately 25 km from the hotel. This hotel is centrally situated and only 900 m from the beach. The Aguila Roja shopping centre is 100 m away, whilst the Kasbah shopping centre is 300 m from the hotel. The hotel is well situated for access to the public transport network with links located just 300 metres from the hotel. This hotel is located in the popular holiday resort of Playa del Inglés on the island of Gran Canaria, only 100 m away from the beach. A large variety of bars, restaurants, pubs and nightclubs can be found in the immediate vicinity. The hotel features an outdoor pool, children's pool, sauna, steam room, sports facilities and a rooftop terrace with panoramic views over the sea.